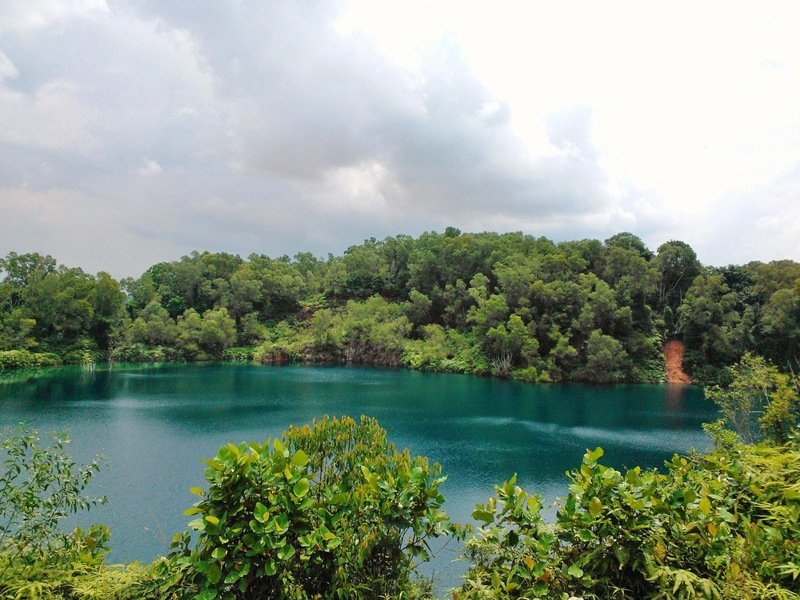 Singapore has a few little islands used for different purposes (e.g., leisure, military, chemical/ energy and waste), however, there is one nice little island called, 'Pulau Ubin'. It's a less known island which is great for the adventurous type and those keen to explore, whether that's you prefer discovering a new place on foot or riding around on a bicycle. 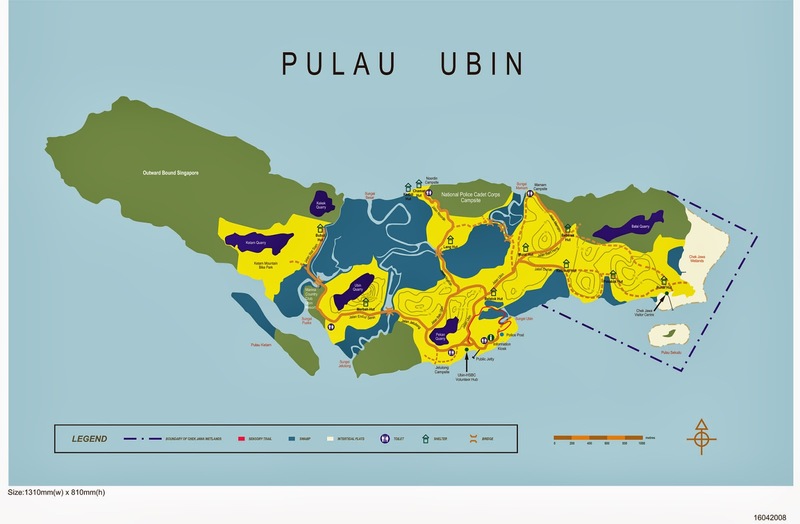 So how do you get to Pulau Ubin? There is only one way to get there and that's by bumboats. 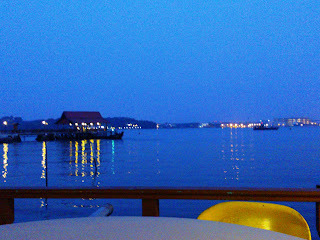 Bumboats operate from Changi Point Ferry Terminal from about 6am until about 8-9pm. 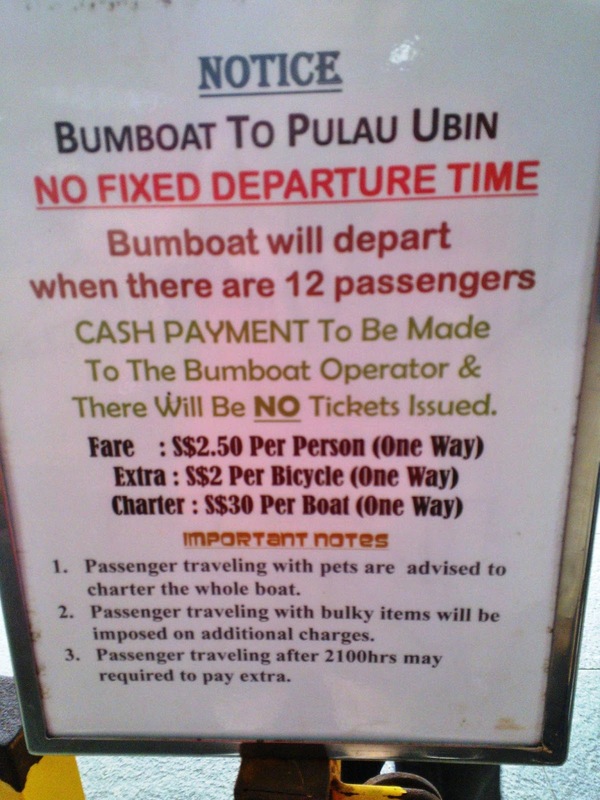 So here's how to get to these bumboats and to Pulau Ubin. 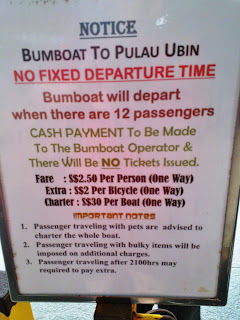 Depart on bumboat (ferry) - You will board and pay the bumboat operator. 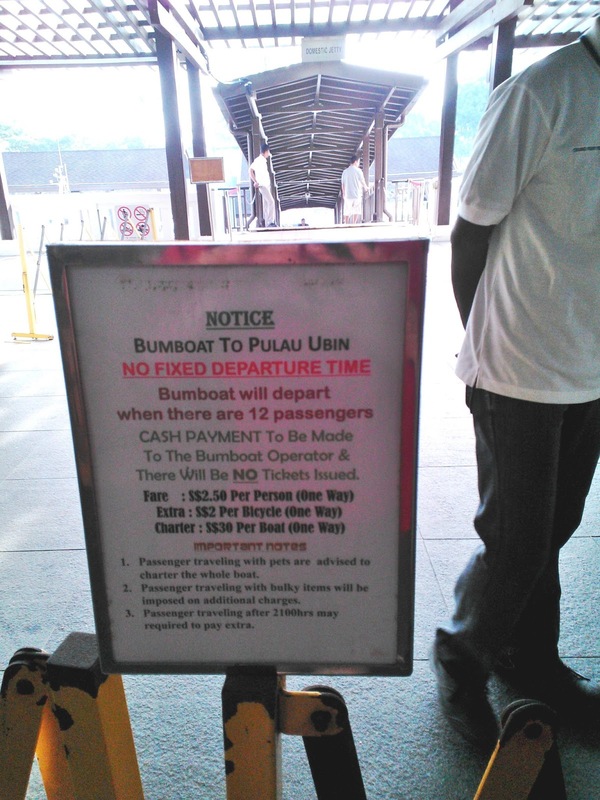 The journey to Pulau Ubin then normally takes 10-15 minutes. 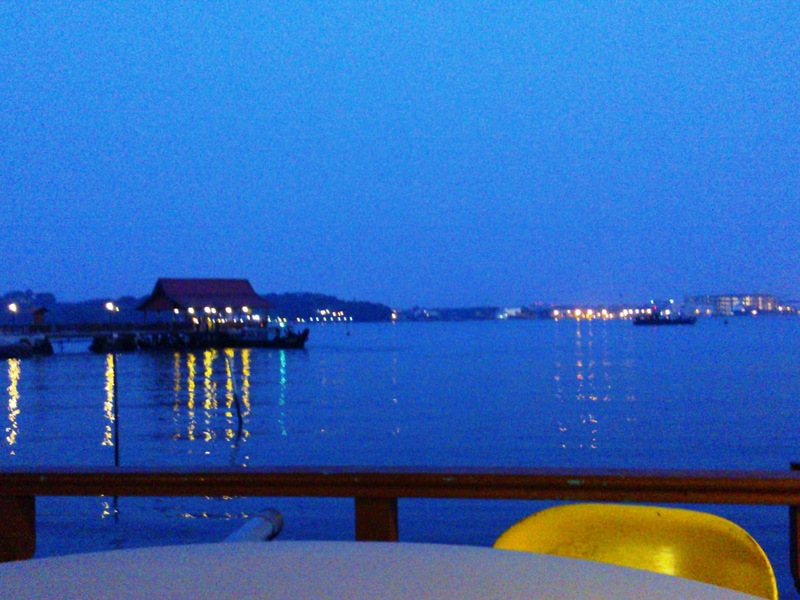 Please keep in mind that each bumboat is different, some have windows, some have a back area where you sit, etc. Just be prepared with a raincoat/ umbrella if it looks like it'll rain on the day. 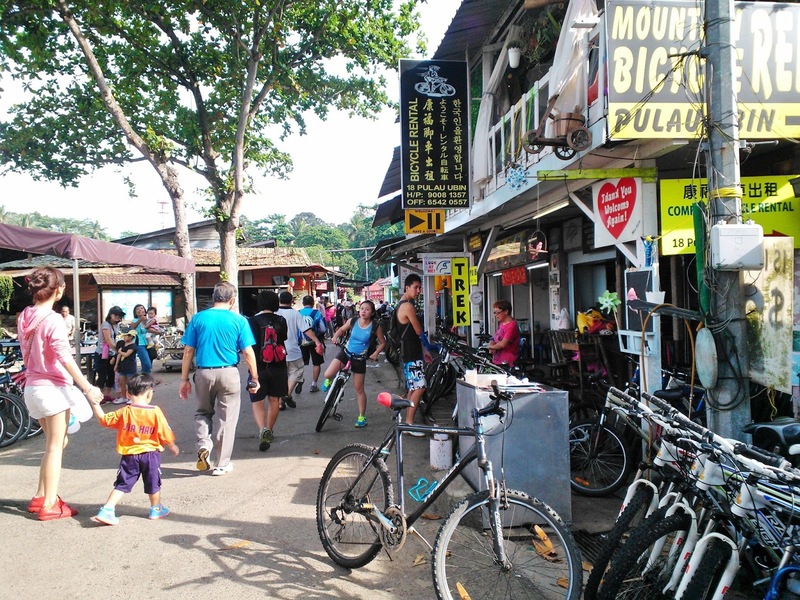 Arrive on Pulau Ubin - You're there. You can now look around and hire a bicycle, eat some seafood, visit the wetlands or one of the old quarries. 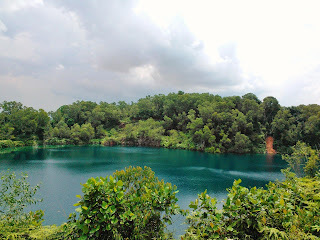 You'll find some places at Pulau Ubin you can check out below. 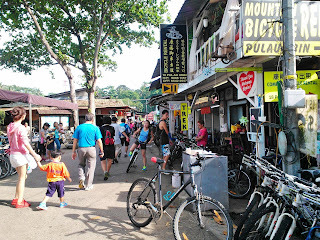 Departing from Pulau Ubin - Once you're ready to head off. 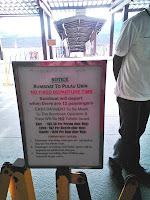 Just return back to the Pulau Ubin Ferry terminal (so follow the same process but in reverse). Once you reach the Singapore mainland, there will be some custom checks via a security scanner. 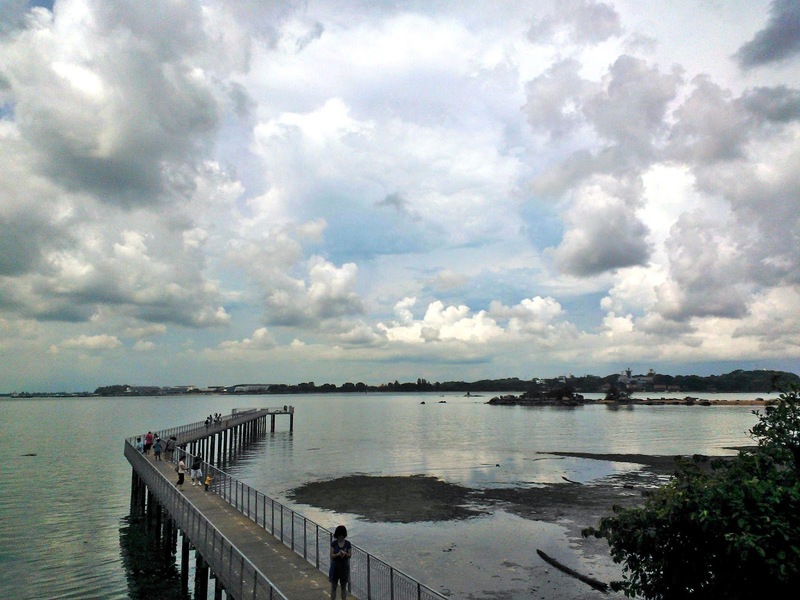 What to do at Pulau Ubin? There are trails from towards the east, west and north, with most folks heading westwards towards a wetland called, Chek Jawa Wetlands. 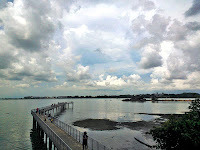 The Chek Jawa Wetlands park is only open from 8:30am to 6:00pm. Please also note that there is a bicycle bay where you'll need to park your bicycle. It's normally quite safe (as there is only one way off the island, i.e., via bumboat..) but just note where you have parked your bicycle for later. You may also see some wild boars as I did - see quick video here. When you arrive there are a few bicycle stores you can hire bicycles from. There are normal push bicycles and a dual seat bicycle (with two seats for two people). Prices range from $8-10 for a bicycle a day on normal weekends*. *Public holidays it's much busier and it is more expensive to hire bicycles (Up to $15 SGD on public holidays). So aim to arrive before midday to secure a bicycle - otherwise bring your own to the island. You can eat at one of the seafood restaurants. There are about 3-4 main restaurants on the island. There's also coconuts that are sold at mini marts in town and also at drink stores scattered around the island. Coconuts cost around $3.00-3.50 SGD each and seafood prices are similar to those at coffee shops in town. At last check, one restaurant was selling chilli crabs for $45.00 SGD a kilo. Photos: More photos of the island can be seen in this Facebook photo album.